When Pennsylvania gets mentioned, skiing isn’t necessarily the first thing that comes to mind, which is a shame because there is great terrain and killer ski package deals to be found in the Keystone State. 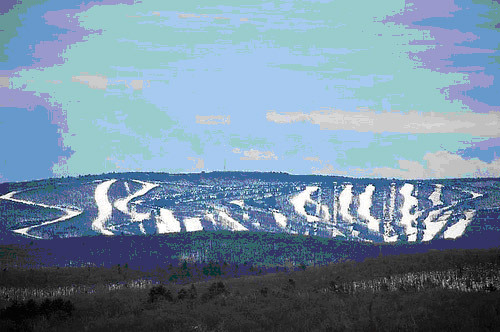 The Poconos Mountains are home to many different ski areas and resorts. Because of the abundance, skiers and snowboarders can find incredible packages that include lodging, lift tickets and other perks and bonuses. Before you decide on a ski vacation this year, take a look at some of the amazing deals found at Poconos resorts Shawnee and Camelback Mountains. Shawnee Mountain is a full family style ski area. Shawnee is also home to the state’s fastest Quad, only three minutes to the top. Throughout the season, the ski area offers family lift ticket discounts, terrain park competitions, discounted night and weekend skiing, and packages that include lodging, rentals, lift tickets and discounts for meals at resort restaurants. Send the kids to a ski or snowboard day camp while you shred the terrain at the ski area. Shawnee encourages newbies to the sport with its “Learn to Ski/Snowboard” package deals. These deals include a day pass, rental and lesson for youth and adults. This is a great way of spending very little money to see if you like the sport. Shawnee also offers discounts for organized groups like school outings or adult singles gatherings. If you have a party that wants to ski, simply contact the management office and request a group discount and take your friends out for a full day of snow-filled fun. 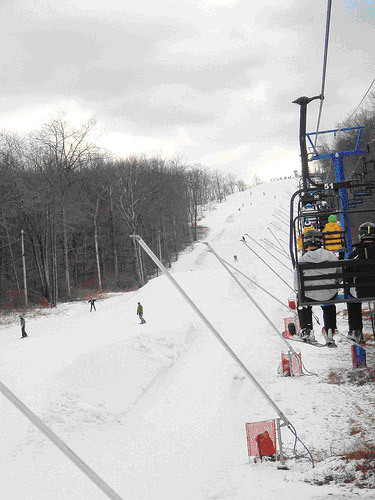 Camelback Mountain has a variety of terrain, including terrain parks, double diamonds and easy beginner slopes. The Mountain is surrounded by a variety of condos, lodges and hotels that offer packages which include full hot breakfasts, lift tickets, discounted rentals, lessons and evening entertainment. It is possible to have a full day of skiing, then head to the resort and enjoy a drink or two while catching live music or a show. Camelback caters to a college crowd during the spring break time frame. Instead of heading south for spring break, hit the slopes with discounted lift tickets and access to spring break style clubbing, music and fun activities. The Poconos Mountains are centrally located in the state, making it possible to get to them within a few hours from the major cities like Philadelphia and Pittsburgh. Enjoy some snow-filled outings without spending a fortune in the Pennsylvania Poconos Mountains.